The Fish IBI data is used in concert with available macroinvertebrate data to assess the status of aquatic life designated use in state waters as required by the CWA section 305(b) 106 (e) (1). These data are used to identify impaired waters under section 303(d) 106 (e) (1). 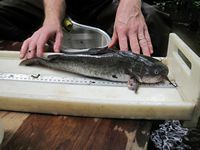 The data help to measure water quality use attainment and the Department's success in attaining the Clean Water Act goal of "fishable" waters as elaborated in the New Jersey Integrated Water Quality Assessment Report. In 2012, the Bureau of Freshwater and Biological Monitoring (BFBM) completed the development of the southern fish IBI for streams in the Inner Coastal Plain. The index is applicable to Delaware River draining streams which are greater than 2 square miles in drainage size. These low gradient waters are home to different fish communities than the high gradient streams and rivers in the northern part of the state. Several unique fish inhabit these sandy, slow moving waters including banded sunfish, swamp darter, tadpole madtom, and mud sunfish. Similar coastal plain fish IBI’s are being developed or have recently been completed in several Eastern states including: Maryland, Virginia, North Carolina, South Carolina, and Georgia. The development of a fish bioassessment program in coastal plains streams is challenging due to the vast agricultural and urban development in these fragile regions. The southern IBI incorporates richness, trophic composition, abundance, and overall health of the fish assemblage into a single ecologically based index. The index is comprised of several attributes (metrics) of a healthy fish assemblage, which are selected based on their sensitivity to anthropogenic impacts. Each metric is scored based on its deviation from reference condition. Metrics are averaged to generate an overall score and rating for each stream sampled. Fixed sites are sampled on a five year rotating basis, with monitoring focused on one of the State’s five major Water Regions each year. 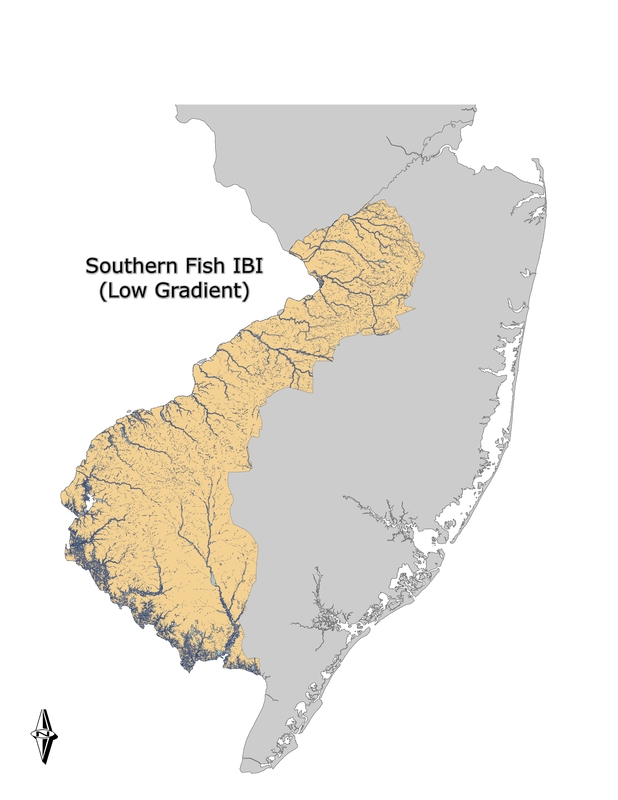 If you are interested in more information about the Southern Fish IBI, please contact John Vile at 609-292-0427.